Between 2000 and 2010, new suburbs sprung up in unholy rings around the U.S.’s major cities, but these maps show that a tiny heartbeat of life is still resurgent in urban centers. 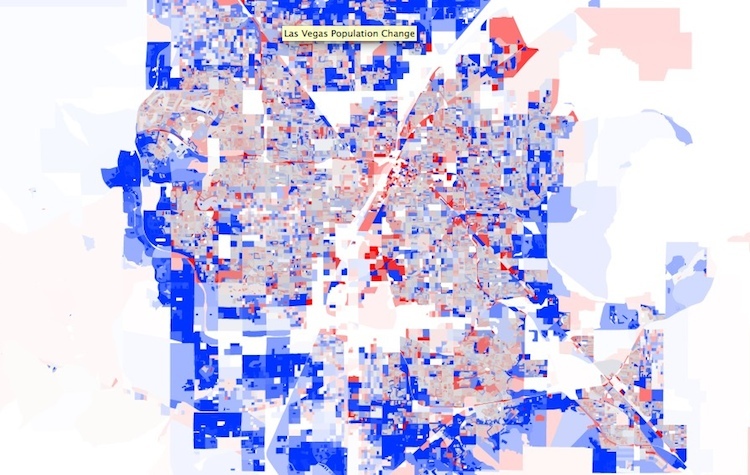 You practically need a microscope to notice, but as DataPointed points out, you can clearly see a “speckled blue island surrounded by a sea of red” right smack in the city center. What that means is that while Detroit’s population bled out by 25% over the past 10 years–see all that red on the map?–the undeniable truth is that “downtown is flashing the signs of a comeback.” Granted, the overall trend of Detroit’s population loss persists, but the full story is a complex interplay of people moving around the area–both inside and outside its borders–as issues of cultural values, macro economics, and personal economics play themselves out. These are the best kinds of data visualizations: they offer a fractal-like wealth of zoomable detail, but they also tell a compelling narrative. 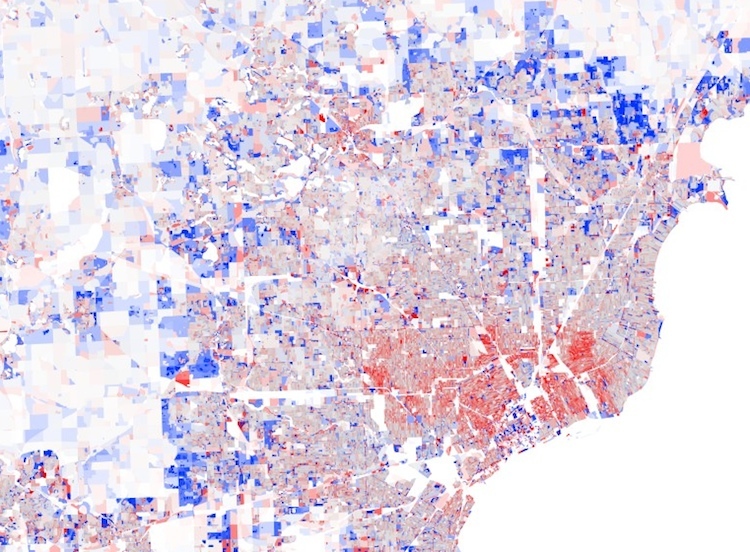 Let’s face it, census data maps–even pretty ones–are narcoleptically boring, most of the time. But these ones, with their jewels of surprising optimism buried in a sea of blah, definitely deserve our attention–especially when we’re used to taking our talking points about places like Detroit from condescending hipster stunts. Look closer, people.